﻿ Fabio Capello: "Cristiano Ronaldo can make the difference in any game"
09.11.2011 » Fabio Capello: "Ronaldo can make the difference in any game"
The current English National Team coach, Fabio Capello, believes that this season Real Madrid can overpower Barcelona in their intense rivalry. The Italian manager has also spoke a few words on how decisive players like Cristiano Ronaldo and Lionel Messi can be, regarding the outcome of any match. Fabio Capello analyzed the Real Madrid vs Barcelona rivalry and it didn't take him too long to note that this season, José Mourinho men have the edge over Barcelona. Apart from that, the current English National Team manager also noted that both teams have players who can decide a match at any point. He was oviously referring to Real Madrid's Cristiano Ronaldo and Barcelona's Lionel Messi. Fabio Capello has coached a long roll of illustrious clubs and National Teams throughout his career. The list inlcudes names such as AC Milan, Real Madrid, AS Roma, Juventus and more recently, the English National Team. Fabio Capello is seen as an old fox on the game and has always revealed an incredible astuteness wherever he has been. 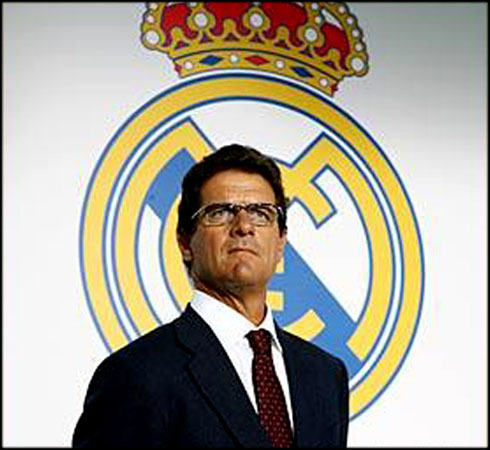 Capello has left Real Madrid in 2007, after winning the Spanish League for the club and just before the recent Barcelona's supremacy has started to take place. The Italian manager previews a metaforic table turn-around in the Real Madrid and Barcelona panorama, with the "Merengues" coming on top in a near future. Fabio Capello: "Even though it's too soon to start talking about favorites, I do believe that Real Madrid has improved in many things and they are now a much stronger team. When compared to Barcelona, Madrid has a bigger squad, which allows them to have more options when they need. If any player gets injured, they have the chance to replace him for another one with a similar quality and the team's quality doesn't get much affected", noted the Italian manager in an interview granted to Spanish newspaper "As", published this Wednesday. Capello identified a crucial moment last season, on which Real Madrid had a mentality change and finally started tigthening the gap to Barcelona. After the 5-0 loss in the Camp Nou in the first half of the 2010-11 season, the "Merengues" felt behind the "Blaugrana" during the entire league campaign, without having a new chance to prove themselves against Guardiola's men in the following months. 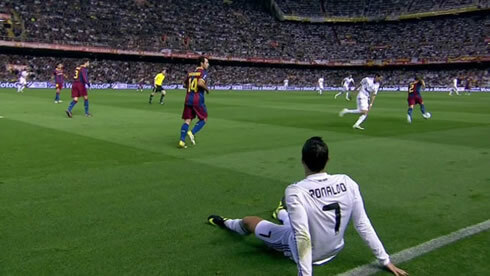 However, in April 16 of 2011, Real Madrid and Barcelona clashed again in the first of four "El Clasicos" that were held in less than 20 days. The first one was for "La Liga", the second one for the "Copa del Rey" Final and the last two for the UEFA Champions League semi-finals. The final outcome was 2 draws and a victory to each teams, but Barcelona held the lead in "La Liga", as well as they got through to the final in the UEFA Champions League, forcing Real Madrid to satisfy with a long-awaited "Copa del Rey". Curiously, Fabio Cappelo pointed at the only loss from those four "El Clasicos" matches (0-2), as the game that changed Real Madrid's mentality. Capello: "Real Madrid changed in that game, because they were putting on a good fight against Barcelona during the entire period, just until Pepe got sent off. That was when the team changed and realised that they could actually beat Barcelona." However, the truth is that Real Madrid had already beaten Barcelona one week before, in the "Copa del Rey" final played in Valencia, with Cristiano Ronaldo's winning goal in the over-time. Regarding Real Madrid and Barcelona's key players, Fabio Capello doesn't really have an original opinion, since like many others, he also believes that Cristiano Ronaldo and Lionel Messi are the most decisive players for the two clubs. Fabio Capello: "Cristiano Ronaldo is truly a star. When a player scores so many goals from either free-kicks, fast plays, or from headers... what can we say about him? Cristiano Ronaldo is like Messi, since they both can make the difference in any game", said the Italian coach. Real Madrid next scheduled fixture is against Valencia, for La Liga, in the 19th of November, 2011. Over the last days, Cristiano Ronaldo has been training with the Portuguese National Team, in order to prepare the 2-games playoff stage, against Bosnia Herzegovina. You can watch Juventus live stream, the first leg of Bosnia vs Portugal live, next Friday, the 11th of November. The 2nd leg will be played in Lisbon, Portugal, in the 15h November of 2011. The winner will qualify for the EURO 2012.